Pulsar Instruments has released a new personal noise dosemeter: The NoisePen. 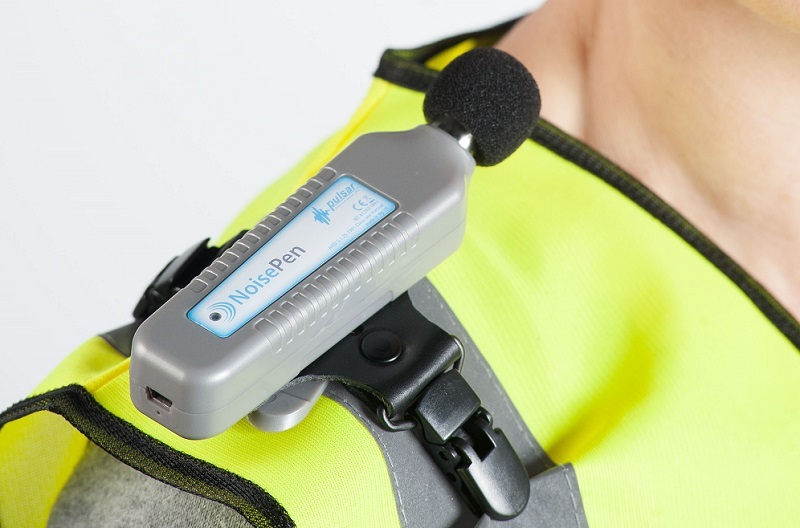 The NoisePen is a cable-free noise dosemeter which can be attached to the user’s shoulder or upper body close to the ear. It is designed to be worn by an employee throughout their shift, measuring and registering all relevant data about their personal noise exposure. MD Sarah Brack said: “This new innovation ensures that any potential hearing damage caused by harmful noise levels is monitored and offers businesses peace of mind against costly noise-induced hearing loss claims." The device is relevant in noisy environments such as warehouses, machinery workshops, vehicle cabins and factories where workers operate on their own and where the use of a traditional sound level meter to monitor noise exposure levels would be difficult. The NoisePen is described as great value and will suit those who have not received any specialist training in noise measurement. It allows for 30hrs of data to be stored in its large memory. Measurements can be scheduled for up to 28 days into the future to suit work patterns. All interaction such as setup, start, stop, download and report processes are undertaken via Pulsar AnalyzerPlus reporting and analysis software.